Fresh Pretty Cure!, the 6th Pretty Cure anime series has been airing since February 2009. A movie adaption titled "Fresh Pretty Cure! Omocha no Kuni ha Himitsu ga Ippai!? 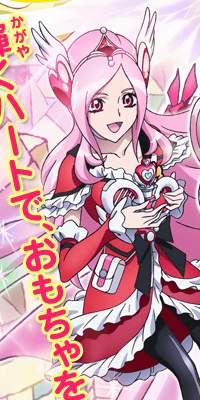 (Fresh pretty Cure: So Many Secrets in Toy Wonderland)" was announced to premiere on Saturaday October 31. Fresh Pretty Cure! Omocha no Kuni ha Himitsu ga Ippai!? The three heroines of Fresh Pretty Cure! made appearance in the special "Pretty Cure" movie Pretty Cure! 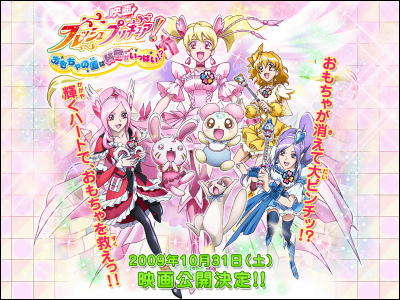 All-Stars DX Minna Tomodachi☆ Kiseki no Zenin Daishugo!, but this will be the first title movie as "Fresh Pretty Cure!" Details including the synopsis are as yet undisclosed. New character for the movie? 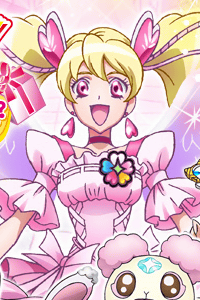 The colour of Cure Peach's costume is slightly changed from TV version. 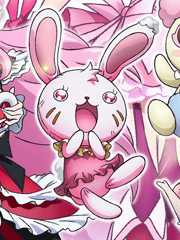 Cure Passion, who still hasn't appeared on the TV series. Her true identity is to come out on July 12th though we have a pretty good guess.